Current Doctor Matt Smith, with companion Clara in tow, teams up with past Doctor David Tennant and previously unknown Doctor John Hurt in a timey-whimey tale involving Queen Elizabeth I, U.N.I.T., Zygons, Daleks, Time Lords and the great Time War. It’s a two-pronged story-line. The first deals with the shape-changing Zygons attempting to invade the present from the past, using Time Lord artwork to facilitate. The Tennant Doctor and Queen Liz are in the past with the Zygons, while the Smith Doctor, Clara and U.N.I.T. (led by the wonderful Kate Stewart) are in the present with those very same Zygons. But this is just the background story into which the Hurt Doctor steps. He is the incarnation of the Doctor who fought in the Time War and was thus kind of disowned by his future selves — the Doctor who pressed the big red button so that both the Daleks and the Time Lords were destroyed. He did this with the help of the Time Lords’ ultimate weapon — The Moment. No ordinary weapon, The Moment has developed a conscience that manifests itself as the Bad Wolf version of Rose Tyler. Before allowing itself to be used, The Moment takes the Hurt Doctor into the future to show him what he would become if he destroyed the Time Lords. And things get complicated thereafter. Okay. This review is probably going to be a little disjointed because there is so much going on in this story, and I’m finding it hard to contain my excitement! Yes, there are a few bits of the story that probably won’t stand up to too much scrutiny (like, how come Queen Elizabeth knows enough about the Zygons and their plan to impersonate one)… but frankly, I didn’t notice these things while watching. And I forgot all about them during subsequent watches. The story barrels along at a great pace, giving us wonderful characters, nice bits of humour, nods to the past (and future), lots of action and adventure and an overall feel-good exuberance that an anniversary special needs. While the story builds on past set-up (Time War, mysterious previously unknown past Doctor, etc), it doesn’t rely on it. It is about as self-contained as an anniversary special could be. There is enough there to satisfy long-term fans while not alienating new ones. There is some clever retconning in this story, altering the Doctor’s past, but it also opens things up for a change in direction for the next season. Of course the Daleks had to be in it, but including the Zygons was a stroke of genius. Although only ever appearing in one classic series story (see my review of “Terror of the Zygons“), they would have to be one of the all-time best conceived Doctor Who aliens. Including U.N.I.T. and Kate Stewart (daughter of Brigadier Lethbridge-Stewart from the classic series) was excellent. But my favourite moments were the appearances of two unexpected Doctors. The brief glimpse of Peter Capaldi’s upcoming Doctor was awesome and Tom Baker’s scene was PURE GOLD. So much great dialogue and one-liners. The Hurt Doctor’s criticism of how his future selves speak and his bafflement at the way they use their sonic screwdrivers were highlights. “Day of the Doctor” is visually stunning. Lots of great action and stunts — love the TARDIS chopper flight. And the effects are great. Being an anniversary special, this episode seems to have acquired a much higher budget than the standard ep. All up, it feels pretty damn EPIC! The cast are excellent! Both Tennant and Smith are in top form and Hurt is a brilliant addition. The three of them work so well together. Joanna Page gives a wonderful performance as Queen Elizabeth I and Jemma Redgrave is, as always, perfect as Kate Stewart. Ingrid Oliver also deserves mention as Osgood, with her scarf and puffer. I would love to see her return in any future U.N.I.T. stories. But it is Billie Piper who steals the show with a remarkable performance as the conscience of The Moment. She was always good as Rose, but she out does herself in this role, which necessitates a harking back to Rose without actually being her. What else is there? The specially shot 50th anniversary trailer is glorious — so much detail in there. The behind-the-scene stuff is really good, if a little short. “Doctor Who Explained” is an adequate doco to bring newbies up to speed. And there’s a trailer for “The Day of the Doctor”. Sadly, no commentary. A little light on extras, but an awesome release nonetheless. I loved every second of it! Highly recommended for fans and casual viewers. 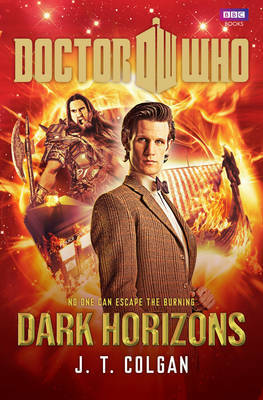 Doctor Who: The Day of the Doctor is released on DVD in Australia by Roadshow Entertainment. There is also a 3D Blu-ray release for those of you who like seeing things pop out of your television.